The quartet was founded in 2000. Since then, four studio albums have been released. Already the 2008 debut album received excellent reviews, among others from Metal Hammer and Kerrang. Bruce Dickinson (Iron Maiden) also played it on his BBC radio show. Various tours took the band across Europe, including some festival appearances (Desertfest, Bloodstock). The live performance in front of a fanatical audience in her hometown was recorded and now released as a double CD. I have to come out right at the beginning. 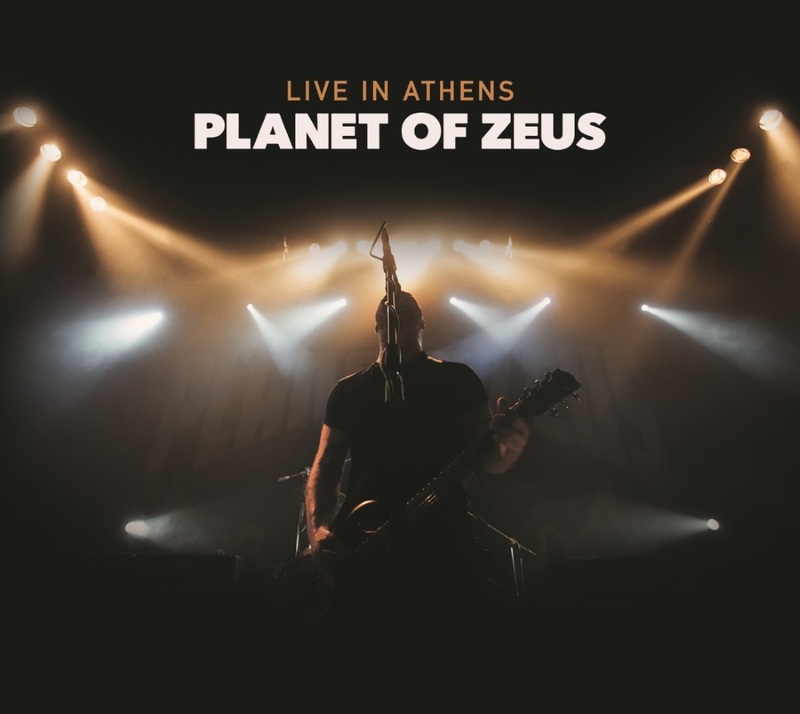 Before I got the promo for this live album, I had not heard of Planet of Zeus yet. So this live album was a great way to engage with the Greeks. After all, you can hear a retrospective of her work to date here because songs were played by all four studio albums. On the other hand, I was also able to approach the evaluation of this silverling completely unbiased. Already with the short intro “Unicorn Without A Horn” I was impressed by the excellently produced live atmosphere. And with “Macho Libre” (from the eponymous album from 2015) Planet Of Zeus begin their actual set. 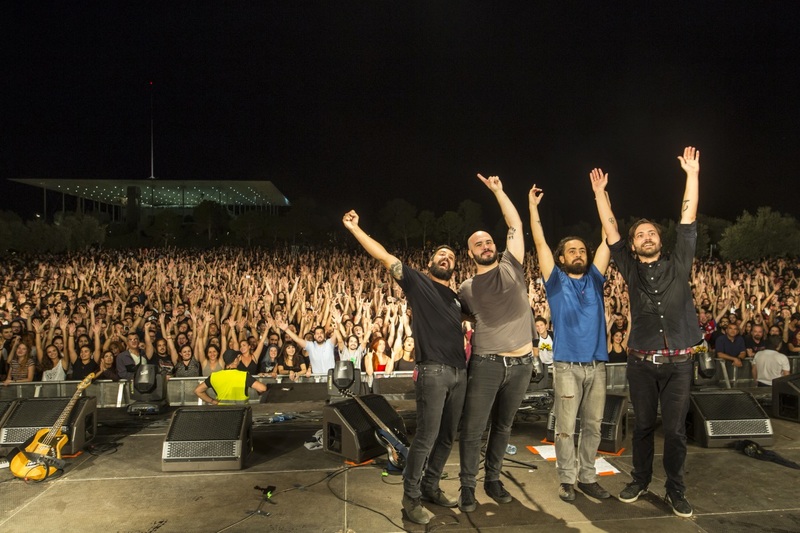 Heavy-handed guitars, boomy bass and rhythmic drums are the trademarks of the band. The vocals change from scratchy growls to powerful clear vocals. The voice of singer Babis Papanikolaou is unique. In addition, there are great, partly overflowing guitar solos. And again, and again you can clearly hear the screaming fans. A first musical highlight for me is the pounding “A Girl Named Greed” (Vigilante, 2014). When the guitar solos, the pace is a little bit tightened. When the title song of “Loyal To The Pack” (2016) then all hell are let loose even more. This is where the drummer really drives his colleagues. The vocals are still on top, while the string instruments are partially withdrawn. Towards the end, the guitars roar again and fan choir sings loudly. “Something’s Wrong” (Eleven The Hard Way, 2008) is a true rock’n’roll classic. While Blues influences can be heard on “Them Nights” (Loyal To The Pack). Outstanding is “No Tomorrow” (Vigilante, 2014). Planet of Zeus set no speed records anyway, but here the foot is taken even more from the gas pedal. But do not worry, this is not a ballad, but very doomy. Black Sabbath are greeting. And here the guitarists show again their outstanding skills. In the grooving “Woke Up Dead” (Eleven The Hard Way) Planet of Zeus are again supported by the fan chants. “Vanity Suit” (Macho Libre) is initiated by a rhythmic five-minute drum solo. Serafeim Giannakopoulos, the man behind the battery starts behavior at first, but later increases the pace. At “The Beast Within” it gets nice doomy again. After three quarters of an hour, the live spectacle ends with the theme song of “Vigilante” (not to be confused with the eponymous song by Magnum). With these live recordings Planet of Zeus could convince me completely. The recordings are of very good quality and the mix is convincingly successful. The instruments as well as the singing are convincingly to hear. In addition, it was managed to capture the live atmosphere. It is precisely this that makes the value of a live CD. Often the fan reactions were dropped by the post production in the studio. The album is worth listening to from start to finish. And the varied compositions and arrangements never make you bored listening. Chapeau!